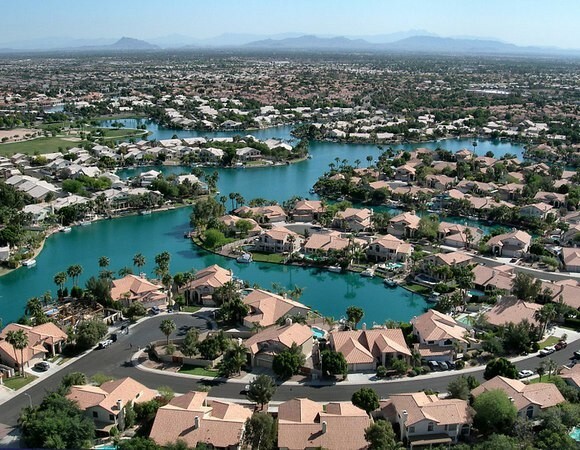 Gilbert, AZ is recognized as the most populous incorporated town in the United States. With more than 235,000 residents spread over 76 square miles, it’s still not considered a city in its own right. If it were, it would rank 86th in the United States. In its early days, Gilbert was known as the “Hay Capital of the World.” Gilbert has changed over the years, no longer a farming town, but now connected to the entire Phoenix metropolitan area. In this economically diverse community, top employers range from the medical field to computers and construction. Gilbert has been ranked as the “Safest Municipality in Arizona” and “25th-safest Municipality in the United States” by CQ Press. In 2005, Gilbert was the largest town in the United States with zero murders. Abundant parkland throughout the city allows residents to enjoy the outdoors. In the center of town is the San Tan Village, a popular open-air shopping and dining destination. It features local as well as national stores, offering something for everyone. To get around Gilbert, you need a reliable, well-maintained vehicle. At Mercie J, we’re proud to provide drivers from Gilbert with high-quality, long-lasting vehicle care. We will accurately diagnose and treat any issue you’re having with your car, getting you back on the road to enjoy everything Gilbert has to offer.